As anyone who has met me knows that I am half Cuban. Once you go Cuban, you NEVER go back. (A joke!). However, there are two sides (of many!) to Cuba. http://www.bridgescuba.com/ I know the founder and he knows the many sides to Cuba. He can help make your trip more authentic and interesting. We last spoke about SELLING THE RALLY in CUBA here: http://csinvesting.org/2014/12/17/sell-the-rally-cuba/. It doesn’t take investing brilliance to sell hype over reality and a 50% premium to the underlying assets. There haven’t been big breakthroughs since U.S.-Cuban relations were re-established. But investors should be aware of smaller signs of progress. In Cuba-U.S. relations, so much has changed in 2015. For U.S. investors, however, things have stayed much the same. It’s been nearly a year since President Barack Obama and Cuban President Raúl Castro announced warmer relations. The U.S. removed Cuba from its list of state sponsors of terrorism. But Cuba still has a Marxist-Socialist economic model, a two-tiered currency system that favors locals, and no stock market. What investors have, for now, is improved diplomacy: After a year of tense negotiations, Cuba is home to a newly opened U.S. embassy in Havana, and it opened its own embassy in Washington, D.C. More flights and mail between the countries could be imminent. Still on the books: a trade embargo by the U.S. that may not be lifted ahead of the 2016 U.S. presidential election. Those who want the embargo lifted hope a Democrat wins the White House in 2016. Republican presidential candidate Marco Rubio, a Cuban-American from Florida, has promised to undo Obama’s Cuba detente. Meanwhile, the number of U.S. tourists visiting the island may have spiked by 40% this year, underscoring the travel-related investing opportunity just 90 miles from Key West, says Pedro Freyre. The Miami-based attorney and Columbia University adjunct professor of law is a man with his bags forever packed. He consults with U.S. companies in agriculture, technology, health care, and other sectors where limited trade with Cuba is already allowed. Cuba is actively courting foreign investment as it seeks to build its creditworthiness, and it’s already doing business with China, Russia, Brazil, and a host of nations that showed up at the annual trade fair in Havana earlier this month. Freyre was there; he likens U.S.-Cuba ties to those with Saudi Arabia, Vietnam, and China: diplomacy despite differing views. PRIVATE-EQUITY INVESTOR Redux Capital Advisors, a London-based asset manager focused on Cuba, sees big opportunities. It hopes to close the first piece of a $300 million fund this year as the embargo slowly unravels. Just last week, the U.S. Treasury’s Office of Foreign Assets Control removed the names of a handful of Cuban bankers, mostly in Europe, from a list of banned business partners. Also last week: MasterCard (ticker: MA) and Stonegate Bank in Fort Lauderdale, Fla., announced their debit card can be used at select Cuba locations. Both Redux and Freyre believe that other countries have a leg up on Cuban investment, and that the U.S. Congress needs to move. Cubans on the street hold American accomplishment in high regard, and seem delighted with the idea of doing business. That was the reaction Freyre got when surprising people with “Yo soy Cubano, mi hermano!” or “I’m Cuban, my brother.” The lawyer and the investor may be on to something. Regularly scheduled flights between the U.S. and Cuba could be negotiated within the embargo parameters by the end of this year, and unification of Cuba’s currency may also be imminent, Freyre says. What’s an investor to do? 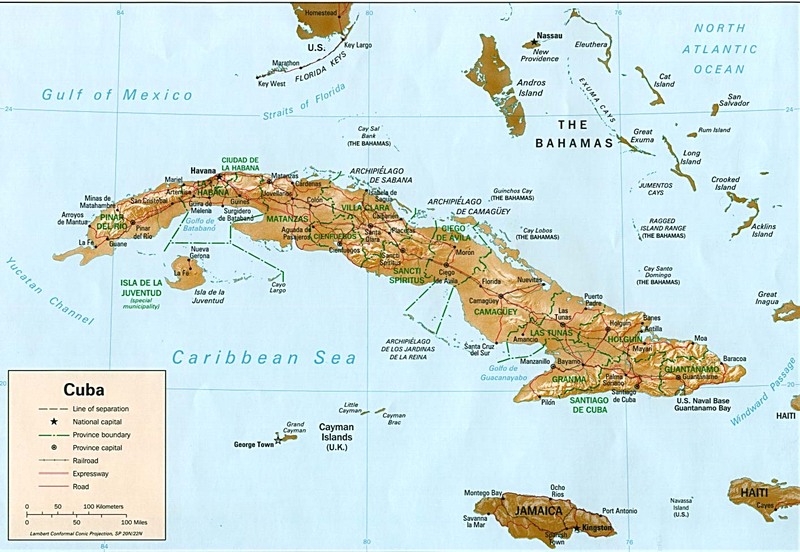 The closed-end Herzfeld Carribean Basin fund (CUBA), a proxy for growth in Cuban tourism, soared a year ago. But it is down 24% this year, trading in line with its underlying asset value. While the travel and infrastructure stocks in the fund are not pure-Cuba plays, lifted travel restrictions could lift returns. Another top holding, Panama-based Banco Latinoamericano de Comercio Exterior (BLX) jumped nearly 5% last week. Editor: Cuba will move forward but mostly after the Castro Brothers are gone. You can make a lot of money from a small base but you have to do it in the Black Market (about 60% of Cuba’s economy). 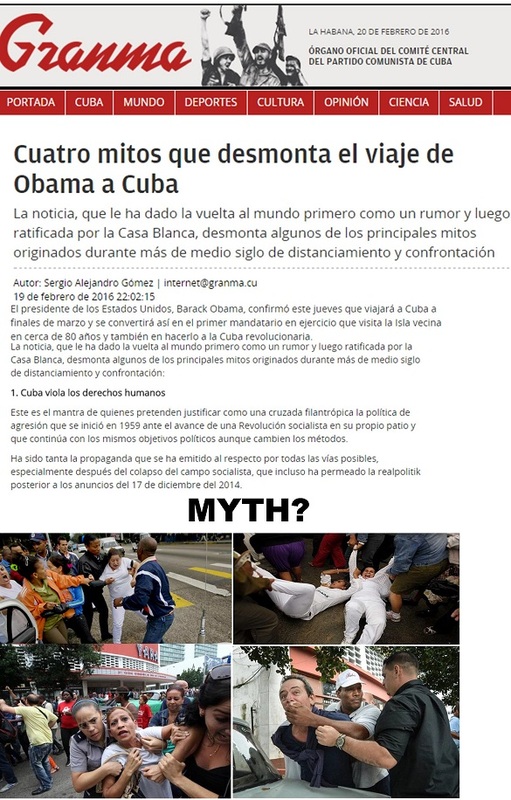 This entry was posted in Economics & Politics and tagged Cuba. Bookmark the permalink. I didn’t know you were half Cuban. That makes us twice neighbors – NYC:Greenwich and Puerto Rico:Cuba. (I’m from PR).